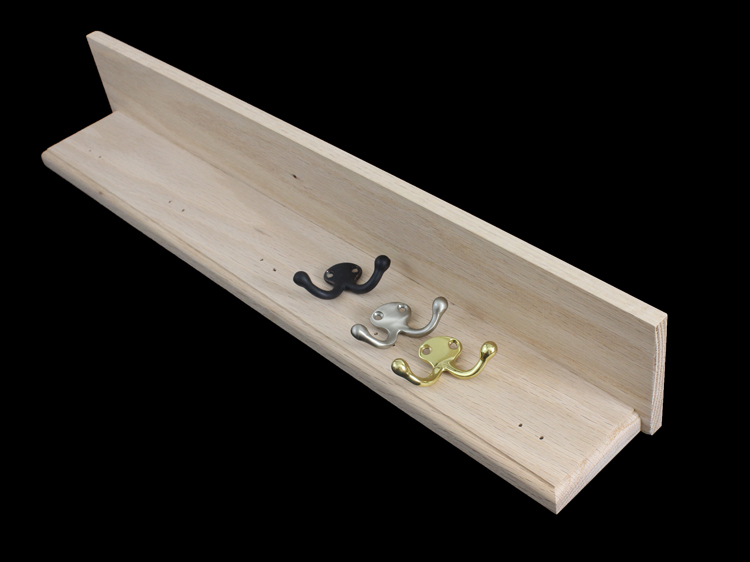 The double style hooks are 3" wide and extend 1 1/4". She’s a fun little dog, but she is a frustration as well. After all, you just got home from work and know Miss Fluffy wants a walk. The little bundle of fur was a gift from your parents when you moved into your new apartment, and you certainly love your four legged friend. But right now, you are frustrated as you search for her leash. Where did you leave it? It is surely somewhere in the house. 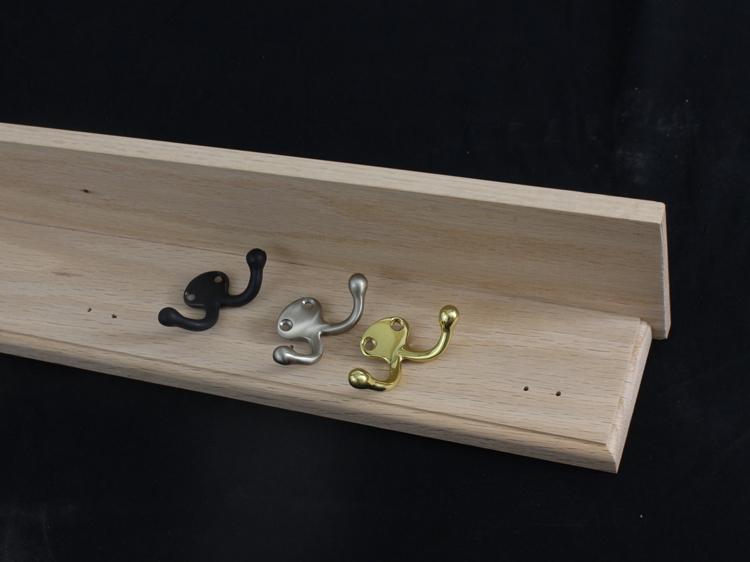 Your life would be so much easier if you had a shelf with hooks. That’s because you would have the perfect place to hang her leash as well as your coat and the shelf could hold her pick up bags or even a flashlight for walking her in the dark. The unfinished design means you can match this to your home as well. 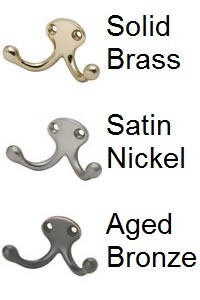 Now, all you need to do is pick out the perfect hook finish from the three available.